How To Clean A Dishwasher - Which? Do you have a smelly dishwasher? 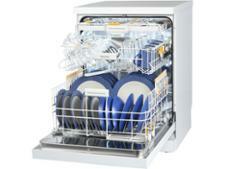 Follow these five easy steps to keep your dishwasher clean, stop it smelling and help make your plates sparkle. If your dishwasher isn't regularly maintained, then it could result in unpleasant smells or even dishes streaked with old food. Keep your dishwasher clean with this easy five-step maintenance that doesn't take much time, but will help get your dishes clean and your dishwasher working better for longer. Read on to find out when and how to do it. 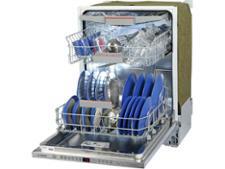 Or watch our 60-second video guide to keep your dishwasher in the best working order. Watch our video, below, where we take you through the five simple steps to keeping your dishwasher clean and in tip-top condition. 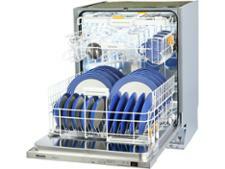 These simple tasks will help your dishwasher to last longer, and working as well as it can. They will also get rid of any unpleasant odours in your machine. But if your dishwasher seems near the end of it's natural life, or you fancy an upgrade, then our dishwasher reviews will help you to find one that will clean stubborn dirt and grease easily, is a breeze to use and won't cost the earth to run. Or, if you'd like to fix an issue with your machine then head over to our guides on how to fix a dishwasher that won't start, or a dishwasher that won't drain. Why? 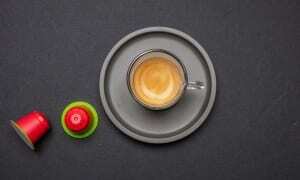 This prevents food waste that has become trapped in the filter ending up back on your dishes. The inner filters can be cleaned under the kitchen-sink tap with a soft brush. The outer metal filter just needs rinsing with hot water. For how to remove the filter, see our short video above. Why? Food stuck on the door rim can lead to the seals perishing and your dishwasher leaking, and it's really easy to prevent this. If you use your dishwasher regularly, a quick weekly wipe of the rim and seals with a damp cloth is all you need to do. 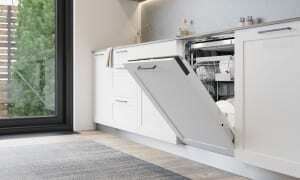 If it's too late to save the seal on your dishwasher, then find out how to fix a leaking dishwasher door. Why? Salt stops limescale building up, and softens the water – dishwasher detergents only work effectively in soft water. 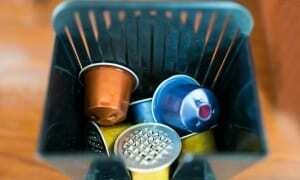 Rinse aid helps dishes to dry without streaking. Most dishwashers have indicators showing when to top up both. We know that a difficult to access salt well could mean that some skip this step, and 10% of Which? members told us this was the most frustrating thing about their dishwasher in a 2017 survey. If you're struggling when topping up the salt, try investing in a funnel to make it easier to access and reduce spills. Some dishwashers come with a salt well in the door, but these do tend to cost more. Why? Blocked spray arms can lead to unsatisfactory dishwashing. Every six months, remove the spray arms, poke the holes clear of any blockages, and rinse under a tap. Why? This won’t have a massive impact on the reliability of your dishwasher, but a hot wash will guard against your machine smelling. 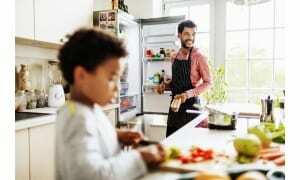 The hot water will help remove any food residue which can build up and lead to nasty smells. This is particularly important if you tend to use the eco program on your machine. Because these programs use cooler water, a build-up of food residue is more common. Do you need to use dishwasher cleaner? Every six months when you run an empty and hot wash, it's worth considering whether you want to use a dishwasher cleaner, too. Many manufacturers recommend using a commercial dishwasher cleaner, but a cup of lemon juice or plain white vinegar will also help clean out the interior and the pipework. Don’t use bleach or harsh cleaners, though. This can degrade the seals and components and cause damage to the machine. When we rate dishwashers, we take a brand's reliability into account, so you can be sure that the best dishwashers will not only be excellent at cleaning even the most hard-to-shift dirt, it will last a long time, too.